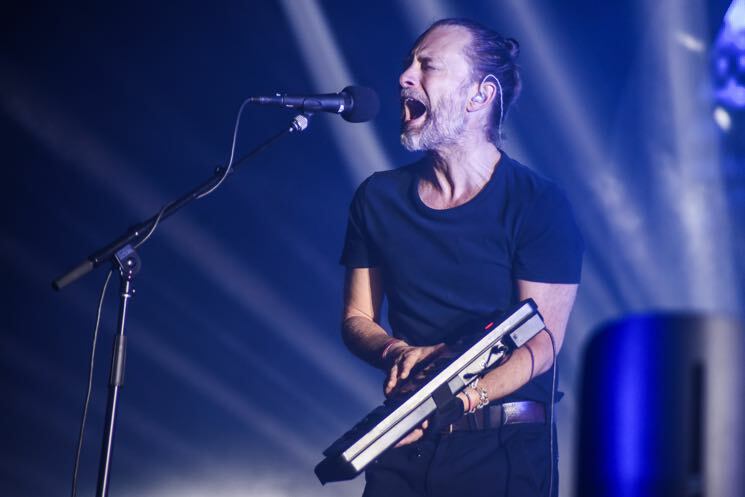 While he's set to officially unveil his Suspiria score tomorrow (October 26), Thom Yorke has revealed he's also working to put a wrap on a new solo album. Yorke spoke about the effort with Spanish publication El Mundo [via Reddit]. Translated by a Reddit user from Spanish to English, Yorke said of the effort, "I didn't have the wish to make politically charged music, but everything I do goes that way anyways. I'm trying to finish a record with Nigel [Godrich] and it's going that way. It's something that's always there." When asked to describe the sound of the new work, Yorke explained, "It's very electronic, but different to anything I've done till now. The method has been the opposite of depending on computers. It's a weird process by which we made a song in the studio, we break it after that, we rebuild it with a live mix and it comes out different again, and that's what we record. We've improvised with a lot of sounds and effects. It has been a very weird way to make a record, which is very exciting." Yorke's last solo album was 2014's Tomorrow's Modern Boxes. He recently lined up a solo tour named after said LP that will take him throughout the United States in November and December. Recently, Yorke also teamed up with Greenpeace to share new track "Hands Off the Antarctic."